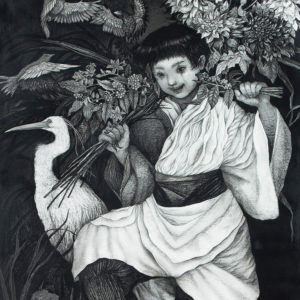 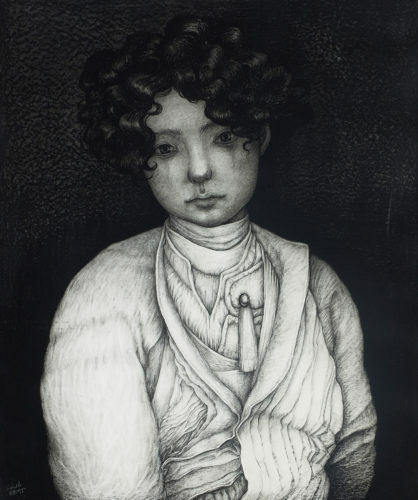 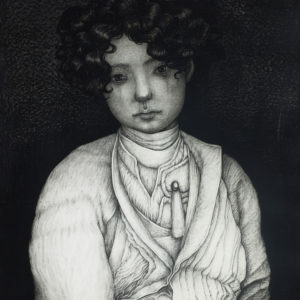 Born in Saitama Prefecture, Maiko Kitagawa gained her doctoral degree in Oil painting from the Tokyo University of the Arts. 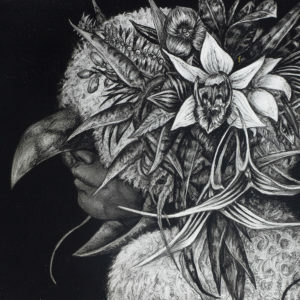 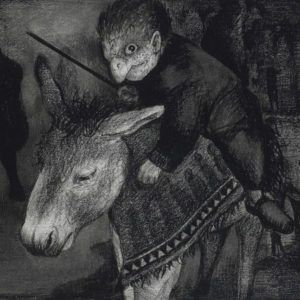 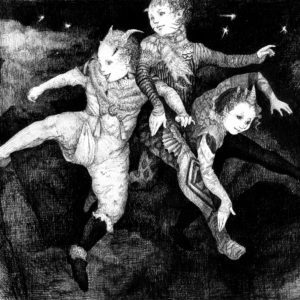 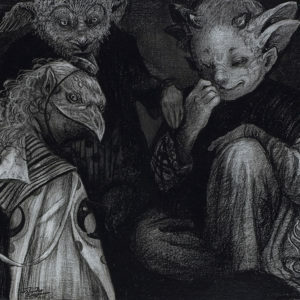 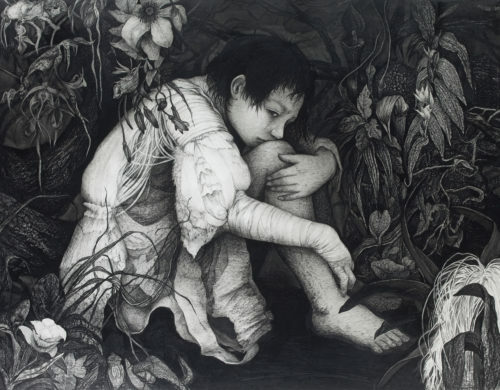 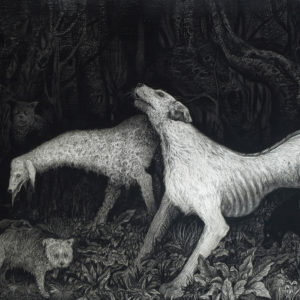 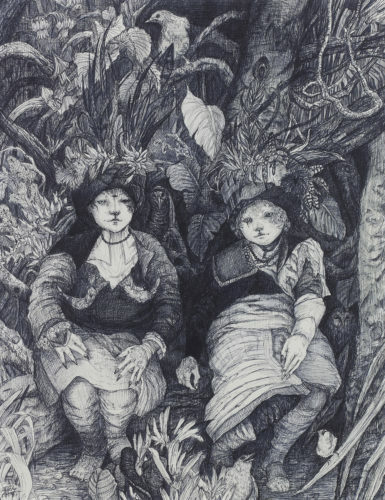 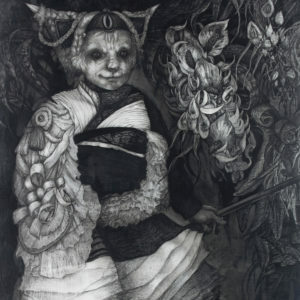 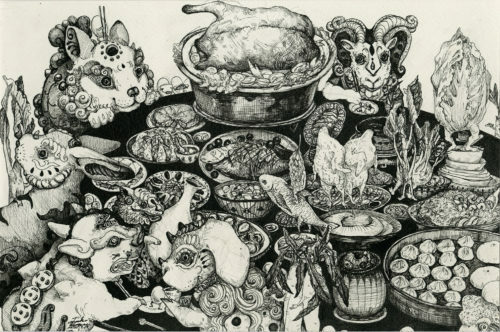 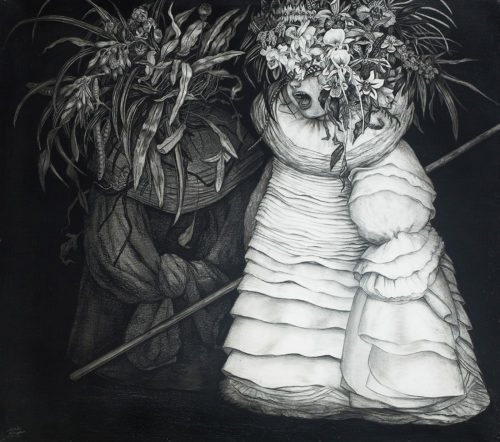 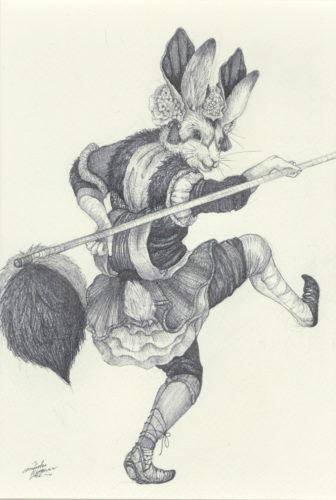 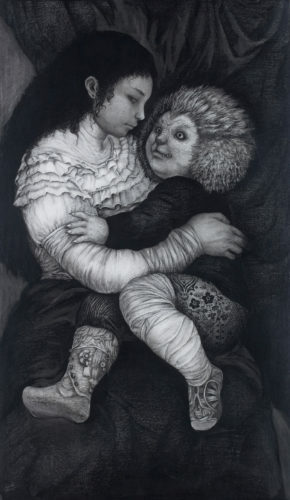 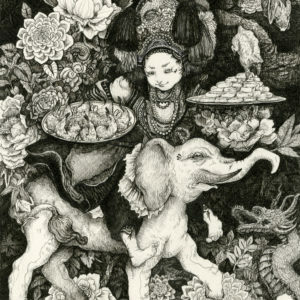 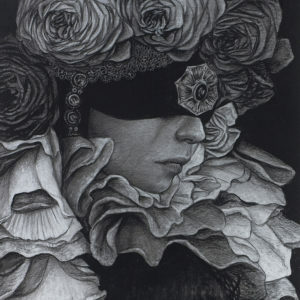 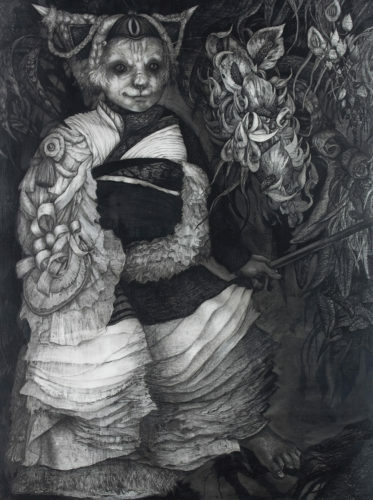 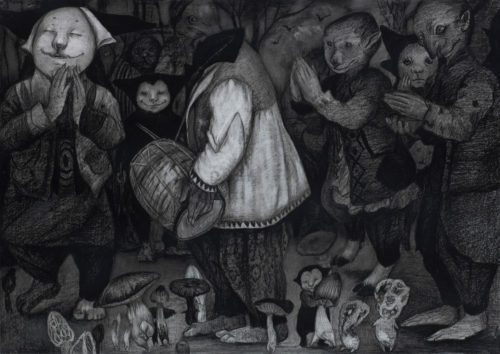 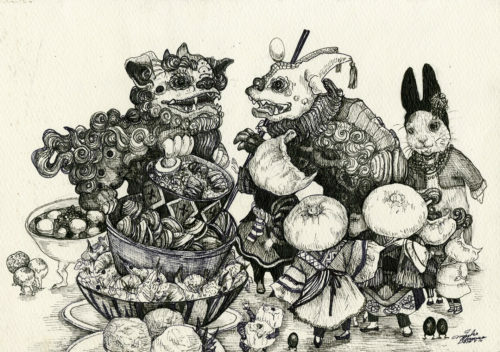 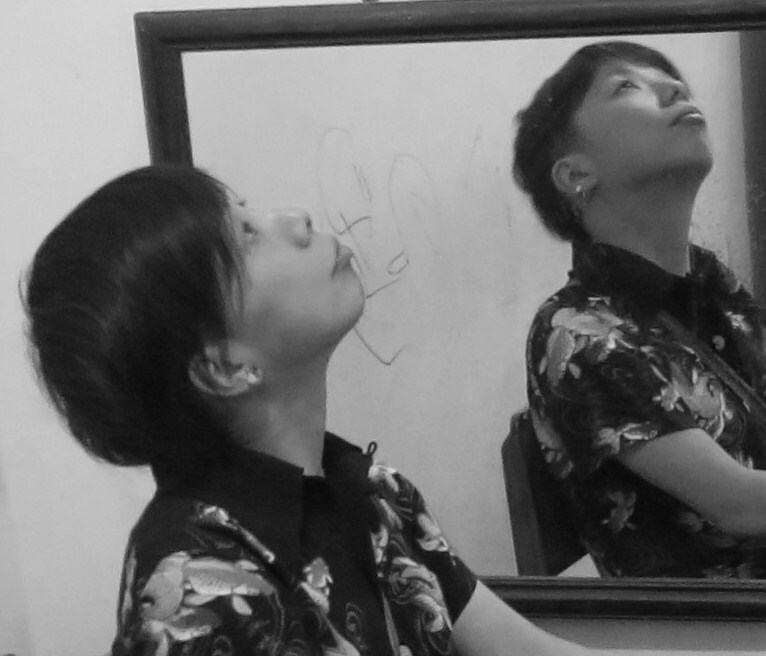 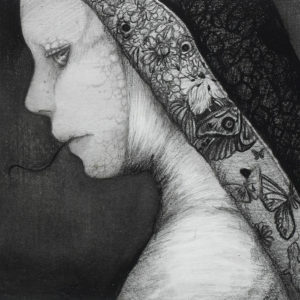 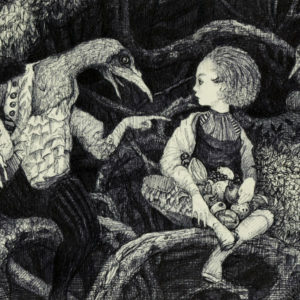 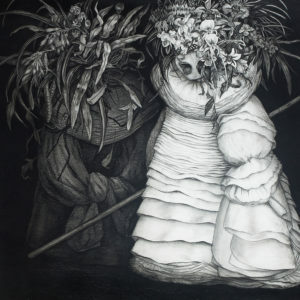 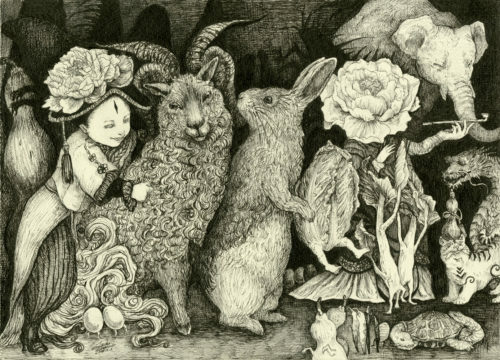 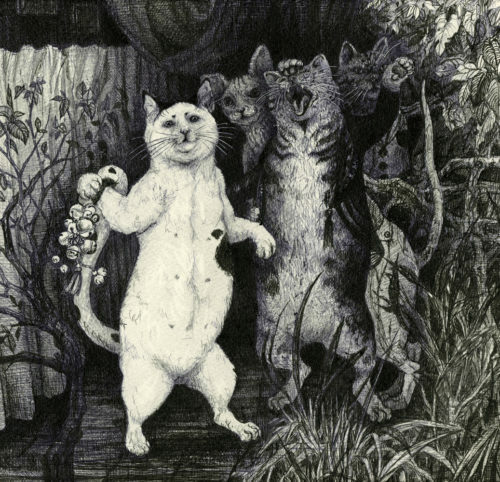 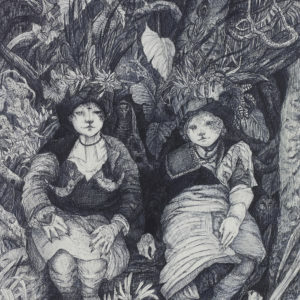 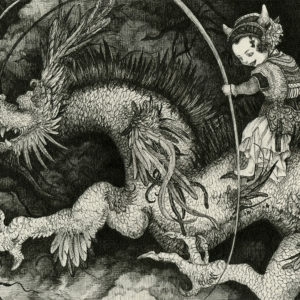 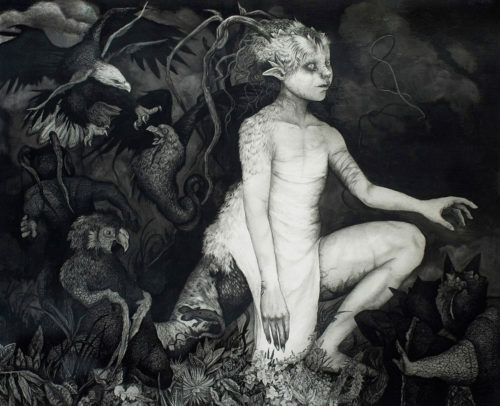 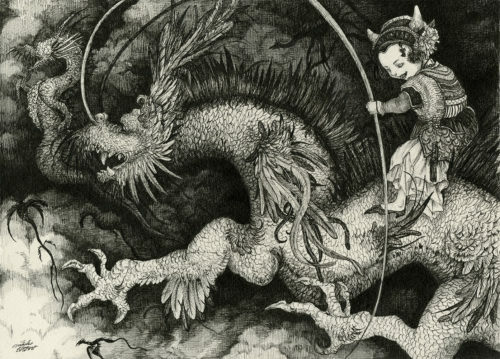 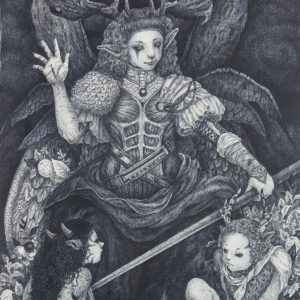 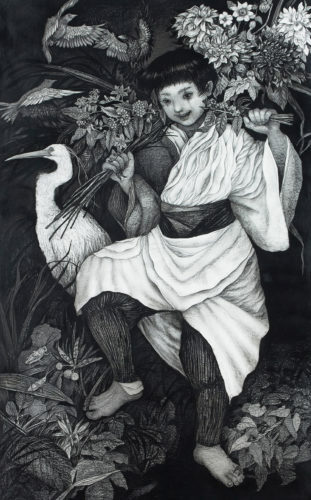 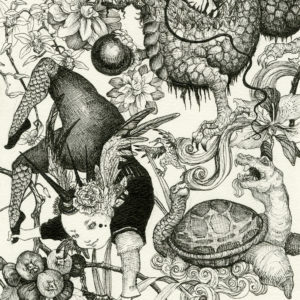 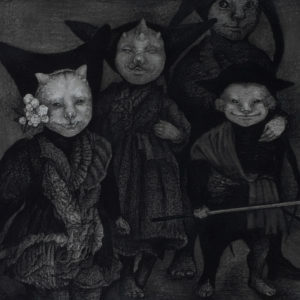 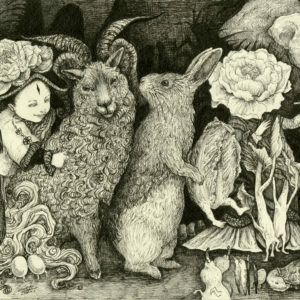 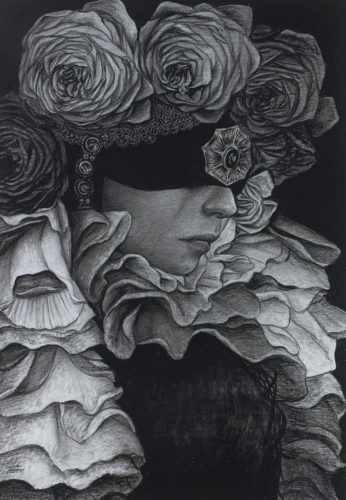 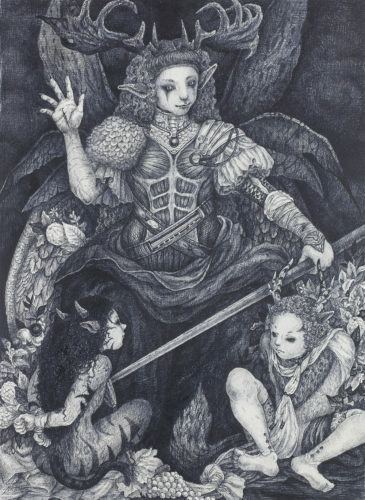 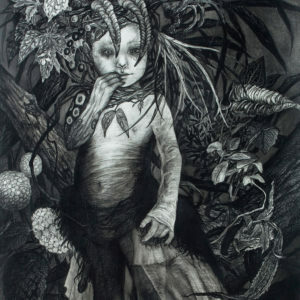 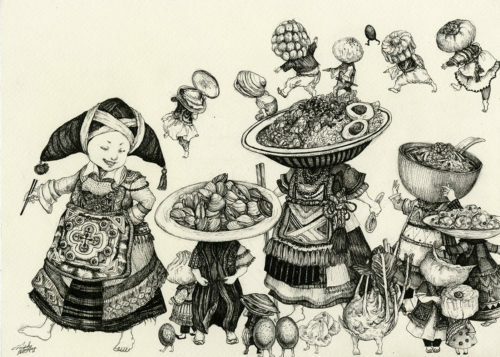 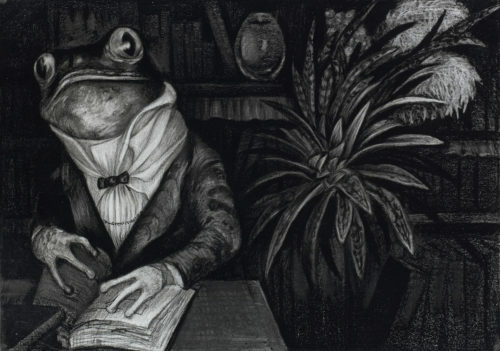 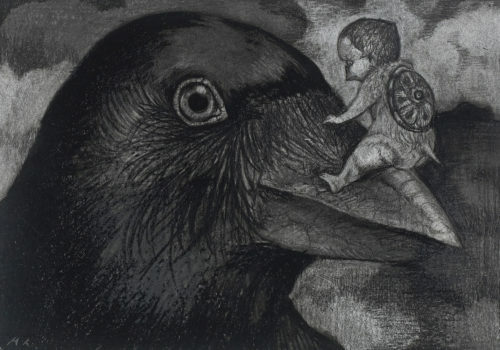 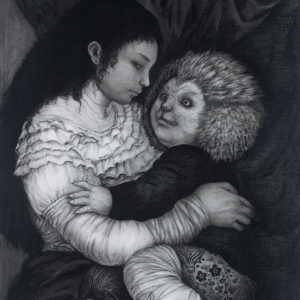 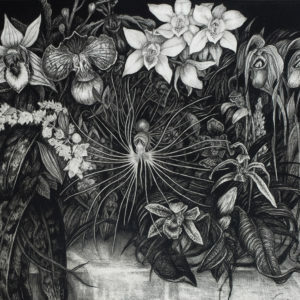 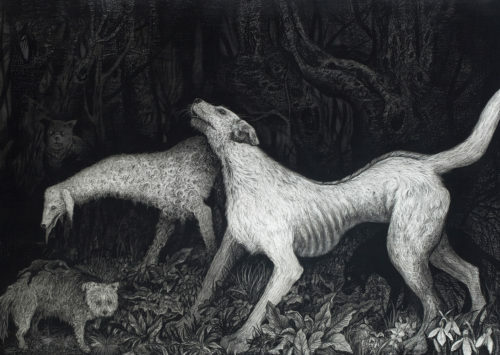 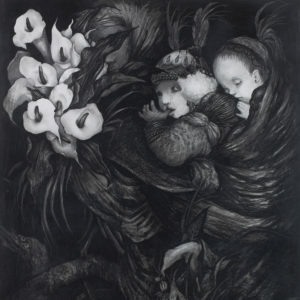 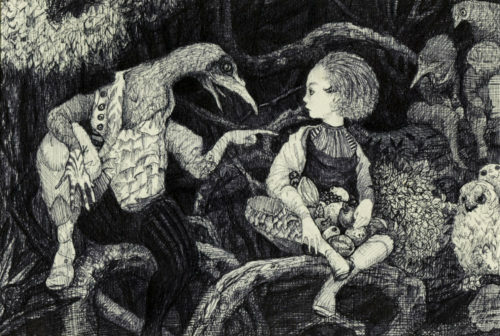 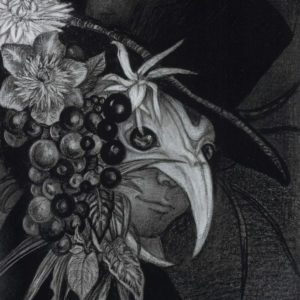 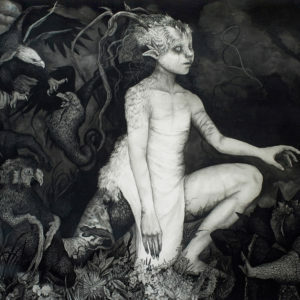 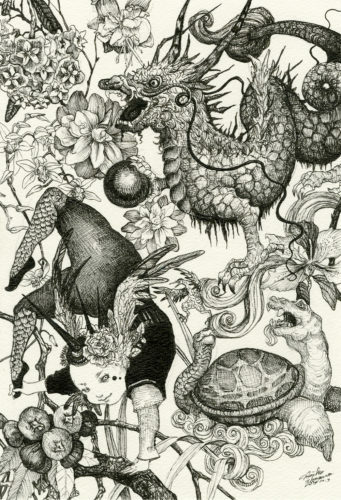 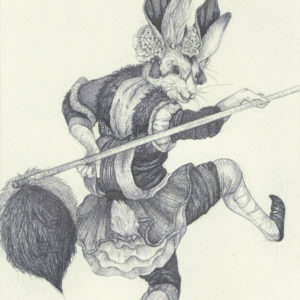 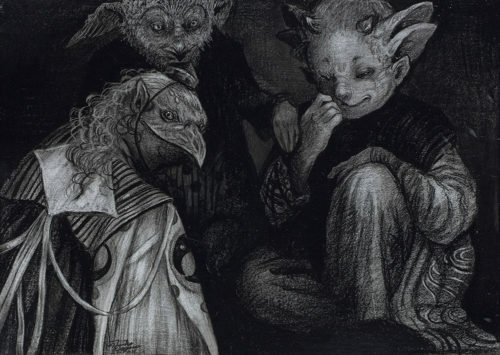 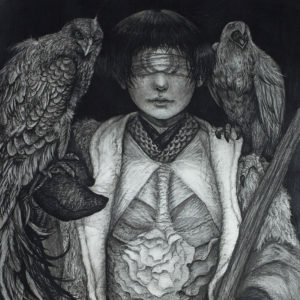 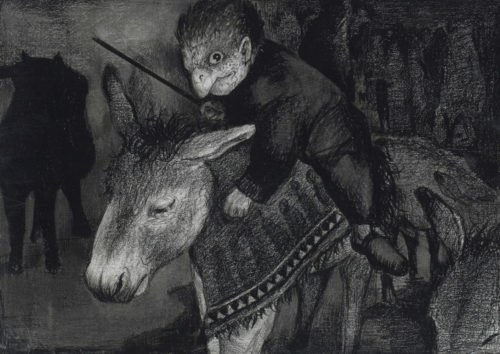 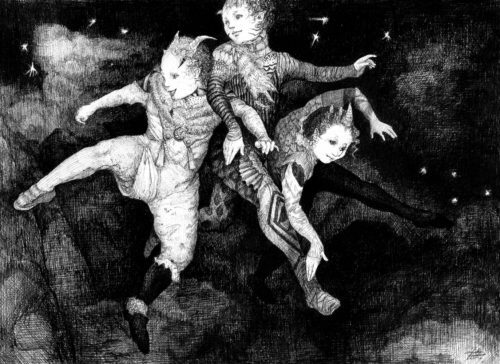 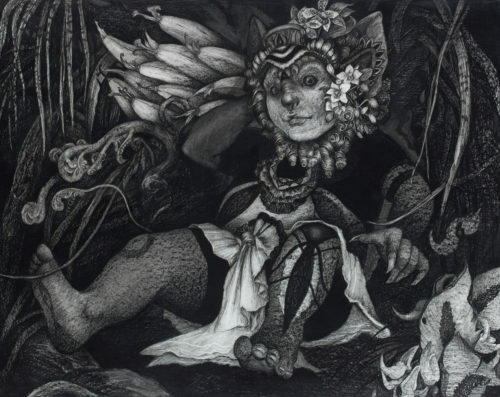 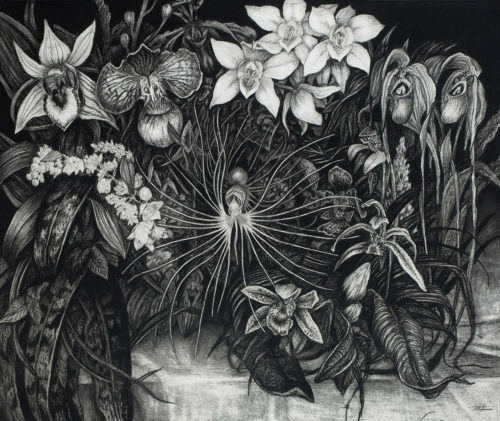 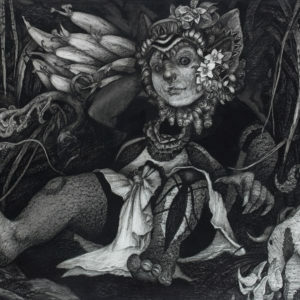 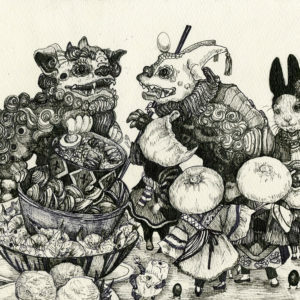 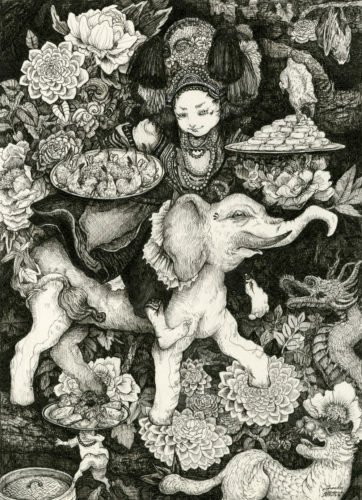 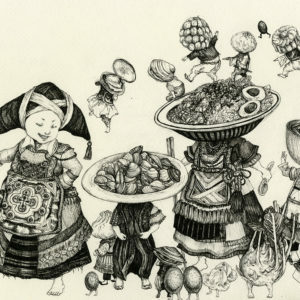 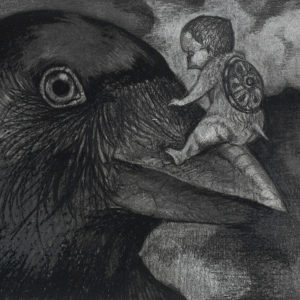 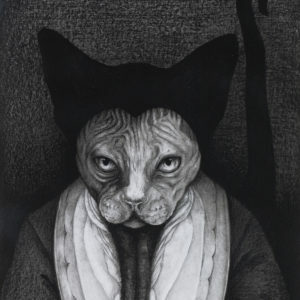 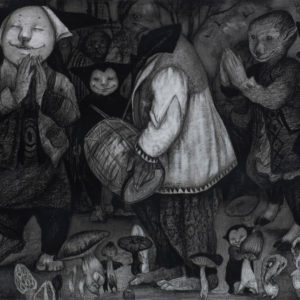 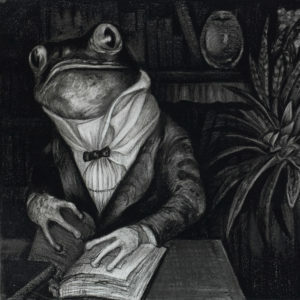 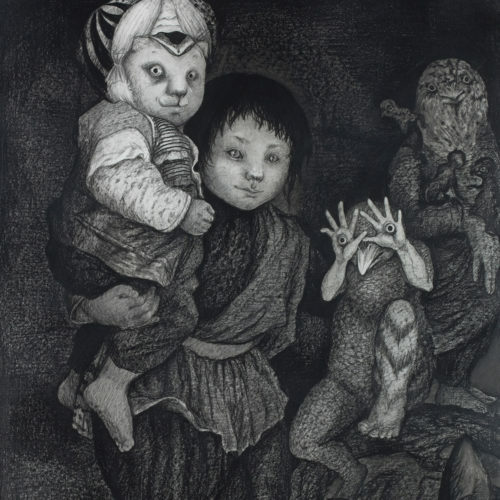 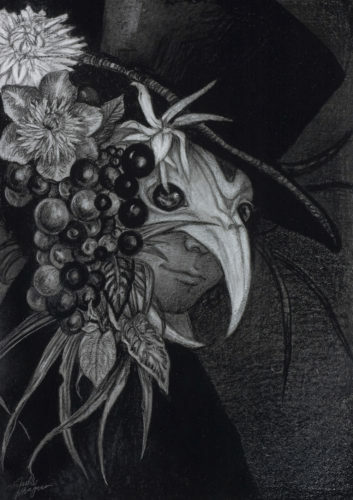 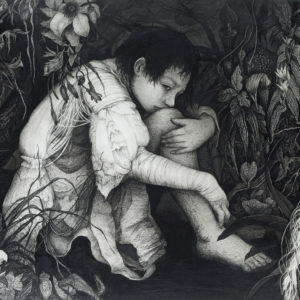 She has depicted a wonderland of black and white that could appear in the fairy tales. 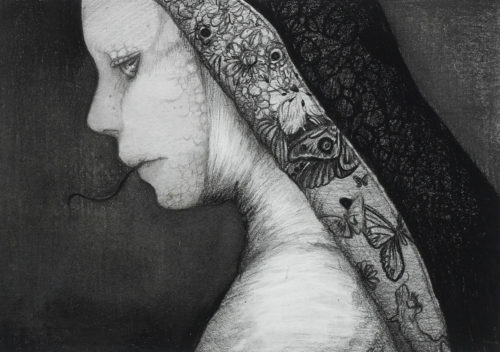 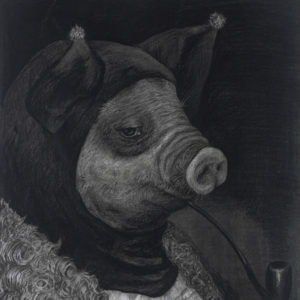 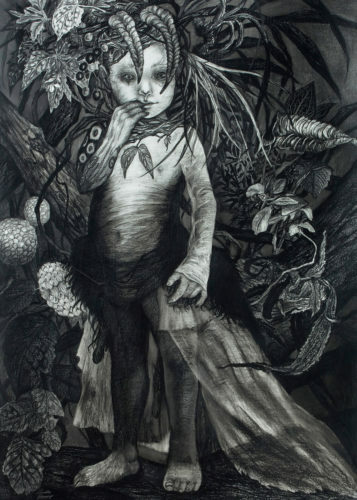 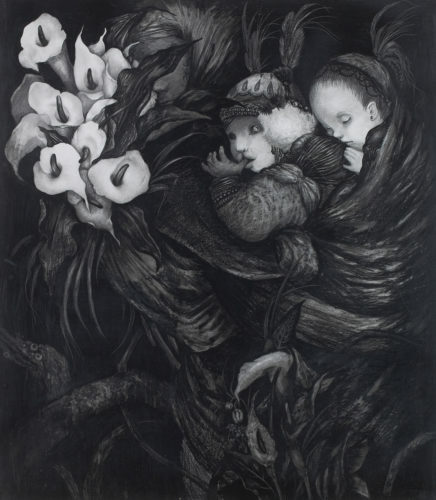 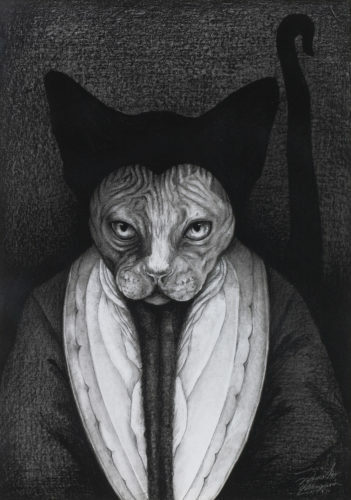 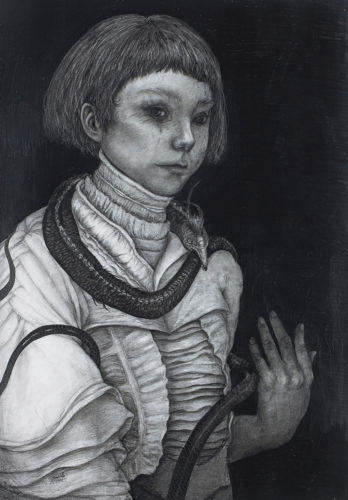 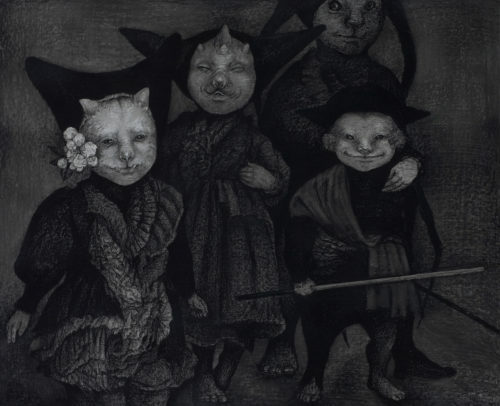 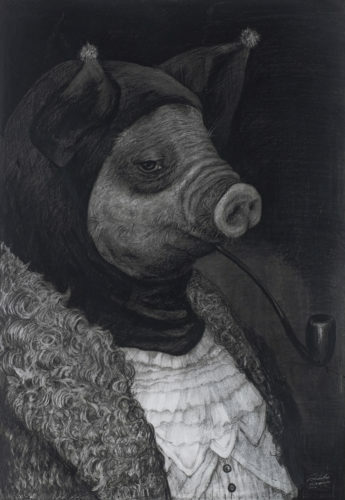 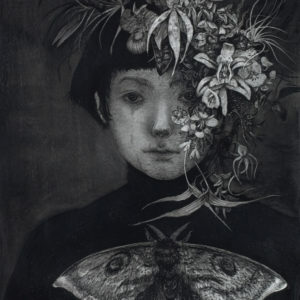 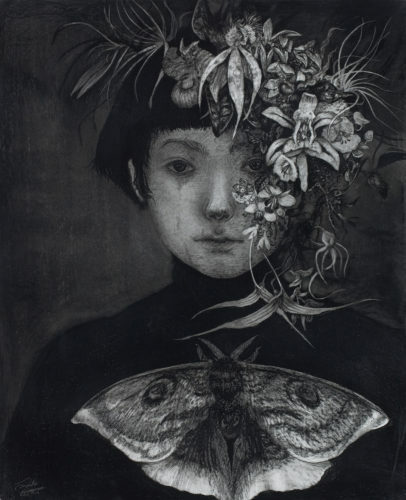 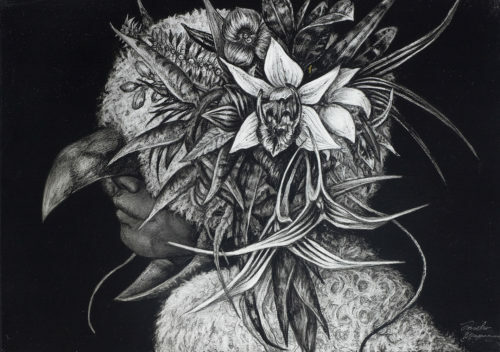 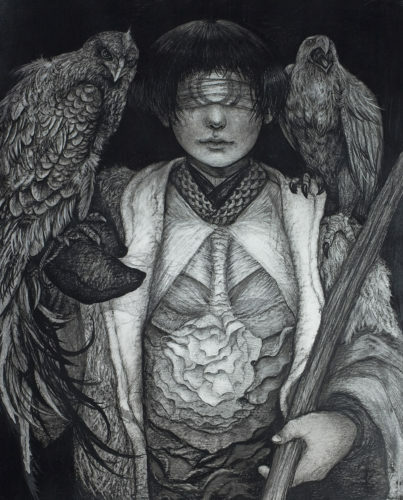 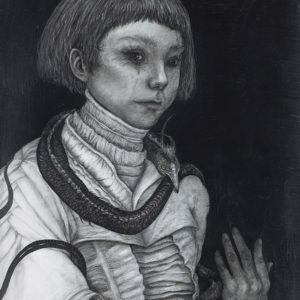 Covered intensely by a thick layer of refined black, her paintings give an awe-inspiring yet creepy feeling drawing the audience to a world mixed with truth and false. 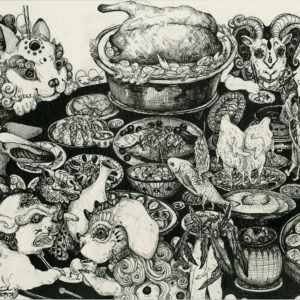 Illustration design / Magazine "Side dish cooking"